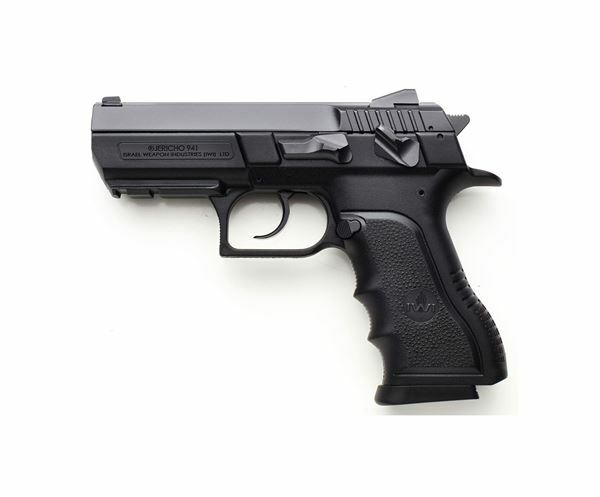 Jericho PSL, Mid-Size Polymer, 9mm, 16+1 Capacity. The Jericho features a frame mounted safety enabling "condition one" cocked and locked carry and single action function or hammer down double action function. Additional features include an integral Picatinny rail for mounting accessories, adjustable dovetailed sights, a firing pin block and a loaded chamber indicator. Barrels are cold hammer forged of the finest Mil-Spec CrMoV steel. This item is on a special unadvertised price from 9/12/2018 - 9/17/2018 @ 10am. Please call your sales rep for pricing information! This promotion is only valid for registered MSR customers! Contact your sales representative for more information at 702-215-3606 Monday - Friday from 7am - 4:30pm PST.